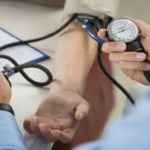 High blood pressure linked to racial segregation in neighborhoods [press release]. Bethesda, Maryland: National Institutes of Health. https://www.nih.gov/news-events/news-releases/high-blood-pressure-linked-racial-segregation-neighborhoods Published May 15, 2017. Accessed May 30, 2017.